Once upon a time, I was searching the web, as usual, for new blogs to follow. I stumbled upon a really awesome piece on a train, as usual. Everything went like it always did. 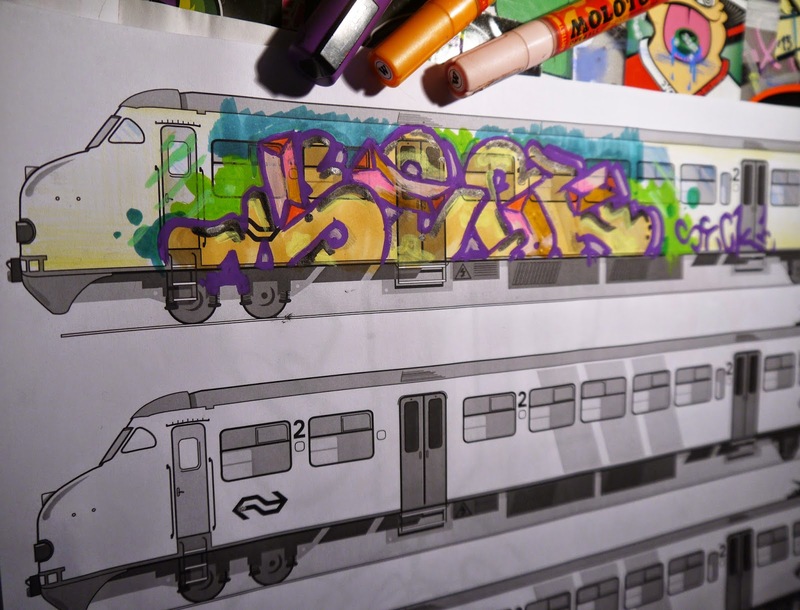 The big difference was that this train was a template in a blackbook, in black and white, with all room for sketching. Really dope idea, but it bothered me that the shape was really common, or it were the typical NYC subway trains. Since that day I always kept an eye out for the typical Dutch NS 'hondenkop' trains, but I couldn't discover the printable version.. So I made one myself! This is an illustrator project I've been working on for the past couple of days. 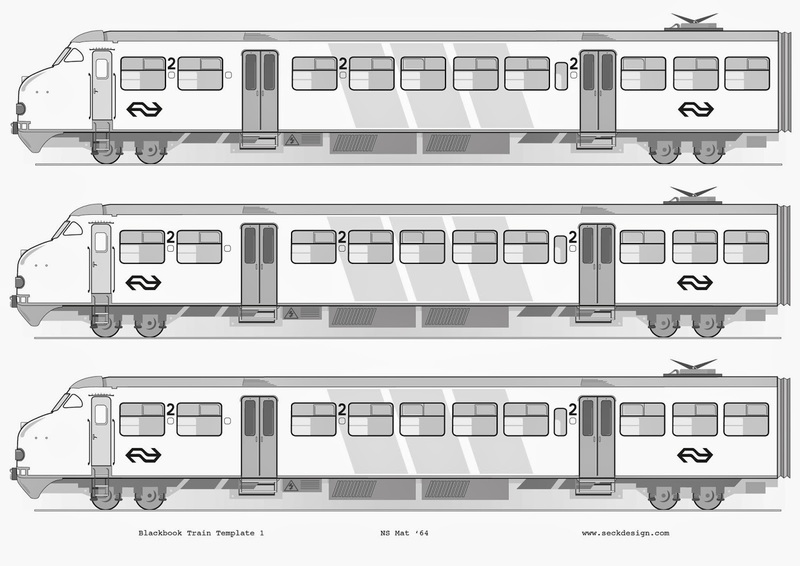 I am trying to make a RET subway train and an ARRIVA bus template soon, so keep an eye out for the full package!